Recently there have also been new bingo game variants appearing on some bingo sites such as 52 ball bingo and 30 ball bingo, often referred to as ‘speed bingo’. Have a look at the descriptions to decide what’s your favourite! 90 ball bingo is the traditionally British and Australian way of playing bingo although the roots of online bingo lie with the 75 ball bingo game, which is more popular in the USA. The two games are similar in that you purchase your tickets, mark off the numbers that are called, and hope to be the first player who completes the winning pattern. There are also other differences in the 2 games. For example, the 90 ball bingo cards have 3 rows and 9 columns with 5 numbers on each line, the rest of the squares are blank. 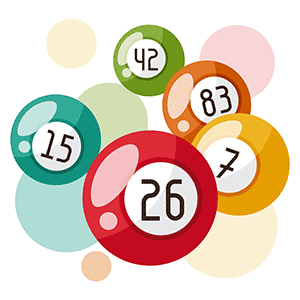 However in 90 ball bingo you don’t play for patterns as such, but hope to complete 1 line, 2 lines, or 3 lines of the ticket, therefore as the game progresses you get up to 3 chances to win in any particular game. This is the format that is also followed in most UK land based bingo halls. Furthermore, as in land based bingo halls, you purchase tickets in strips of 6, which contain every number from 1-90 , so therefore a number is marked off with each bingo call. Thankfully in online bingo you have the auto daub option by default ensuring that you don’t miss any numbers. Recently there has been a growing trend to incorporate the 90 ball bingo game in response to it’s growing popularity, especially in UK bingo sites. The 90 ball bingo game that you play online is very much like the one that you play in land based bingo halls. 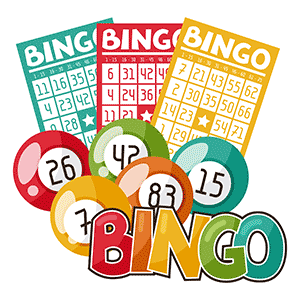 In 90 ball bingo you can also play for progressive jackpots where you can win a substantial prize for getting a coverall within a certain amount of numbers. This then starts decreasing once the threshold is reached with every number called if no one has won the prize continuing until the regular pot remains. This makes 90 ball bingo an exciting game to play and you never know when your luck may be in. The game may be of fixed prizes or it may be for a progressive jackpot. This means that like in a land based bingo network, you can win large prizes if you get the full house under a certain number of balls. If you are new to online bingo and have always played 90 ball bingo at your local bingo hall then it might be a good idea to start with this type of game. 80 Ball bingo is an alternative to the popular 90 ball and 75 ball games which is steadily gaining popularity. 80 ball bingo bridges the gap between the 2 games and in a way encompasses the best features of the other 2 games. In bingo clubs the game is played on plastic shutter boards and the numbers are marked off by closing the slides to cover each number. 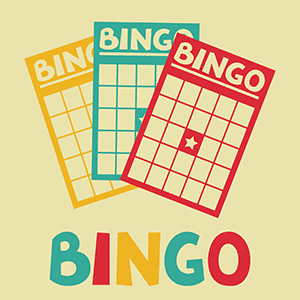 The cards for 80 ball bingo are more similar to that of the 75 ball game in that the numbers are in a grid of 4×4 numbers, with each line coloured vertically red, yellow, blue, and white/silver. Games are slightly shorter than in the 90 ball game, and the rules just as varied as the 75 ball game. Many online bingo halls that offer 80 ball bingo have games where you win when a pattern is completed, and other times you also carry on for the full house. Other games are more like the 90 ball game where you play for one line with the difference being that the line can be completed horizontally or vertically, or diagonally and what makes it more interesting is that completing the four corners or the 4 central numbers in the grid counts as a line as well. 80 ball bingo certainly can be a lot of fun and after all it adds a bit of variety should you get used to or bored with the other types of bingo game. More and more bingo sites are offering 80 ball bingo which is a good development because it gives players increased choice of games. When bingo started to be played online the game that was more prevalent was the 75 ball game since the bingo sites catered mainly for American players. Since online gambling was pretty much squeezed out of existence over there due to the passing of the anti-gambling laws in 2006, most sites started to cater for British players and so started offering the 90 ball game instead. However most bingo sites still offer the 75 ball game as an alternative although this game has always been far more popular in the USA than in the UK or Europe. In the 75 ball game numbers are placed in a 5×5 grid with numbers going from 1 to 75. Games have more variety here because you play for different patterns, lines, corners, numbers, letters, or even shapes. The possibilities are pretty much endless and it makes it interesting and fun. Usually when it’s a line game it will continue to a coverall with a separate jackpot and every bingo game is different. The winning pattern is always announced at the beginning of the game so you know what you need to fill in order to win. 75 ball games can be pretty exciting and many sites still play their big jackpot games in this way. These games are usually scheduled so you should check with the bingo site you are playing as to when the big games are. You can also ask your chat master and they will point you in the right direction.